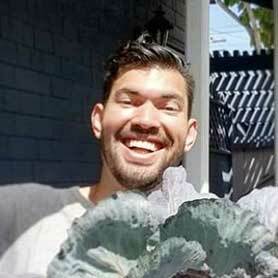 Here at Epic Gardening, our focus is usually on plants that you can eat without dying. But every now and then, it’s fun to look at the wider world of plants, including those that have the ability to end your life if you eat them. 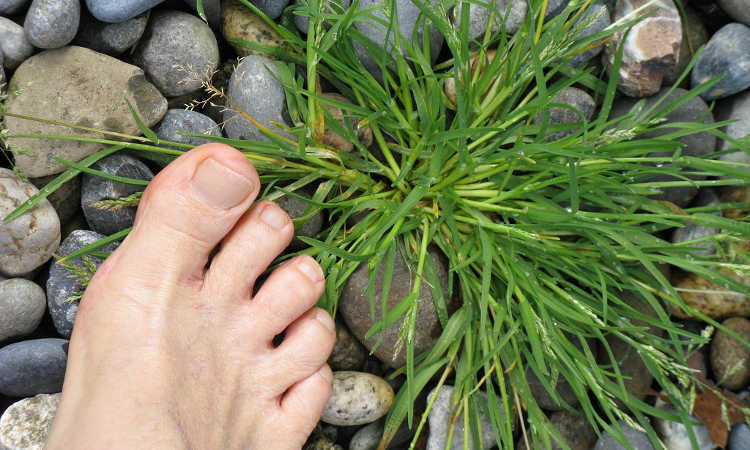 Some of the plants you’ll read about below are incredibly rare and some are fairly common. 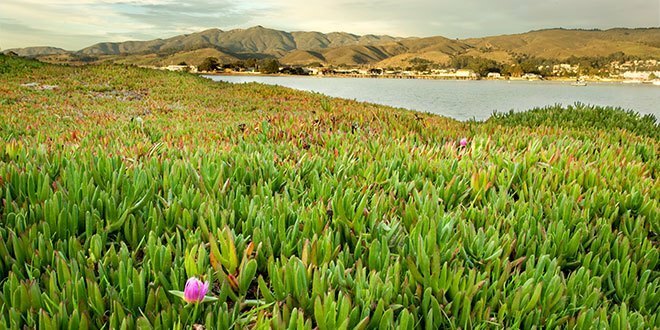 Either way, we hope that the only time you ever see these plants are in the pictures below! 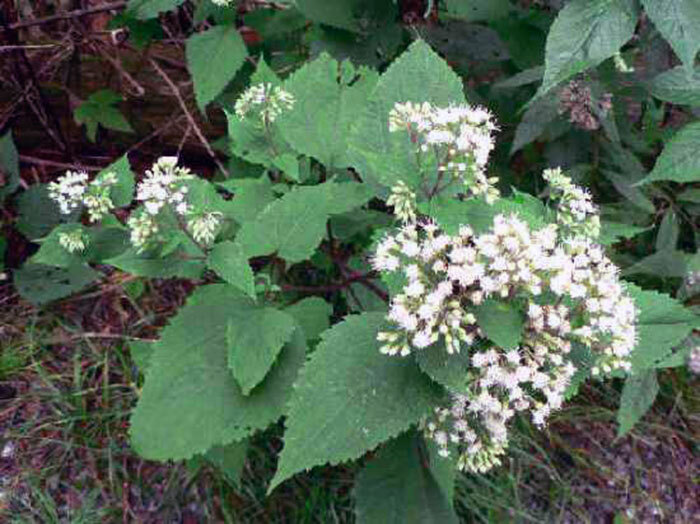 Also known as Tall Boneset or White Sanicle, White Snakeroot is extremely poisonous. It’s a native North American plant with white flowers that, once they bloom, release small seeds that blow away in the wind. They’re filled with tremetol, which doesn’t kill humans directly. 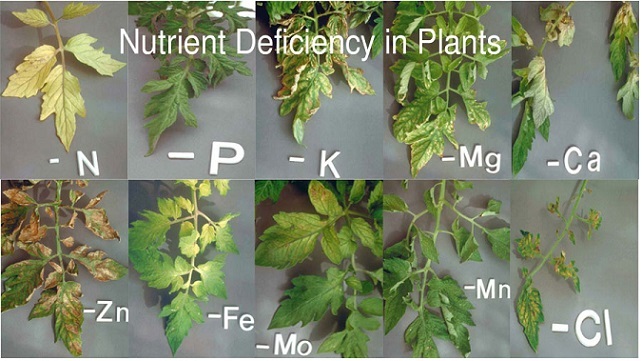 Instead, animals like cows eat White Snakeroot and absorb tremetol in their meat and milk. When we either milk or slaughter these cows and eat their meat or milk, tremetol enters our bodies and causes milk sickness, which is a ridiculous sounding name for an incredibly fatal affliction. Plant fact: Abraham Lincoln’s mother died from milk sickness. 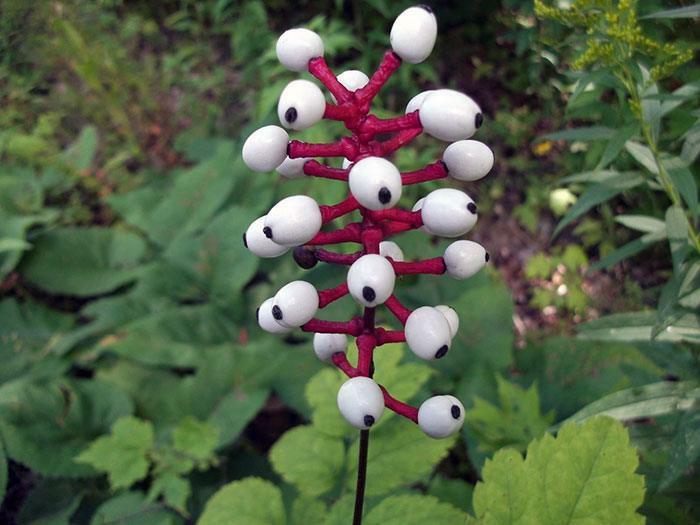 This creepy looking plant is also known as White Baneberry. It’s a native to the northeast areas of North America. We don’t think you need an explanation as to why it’s called Doll’s Eyes – it’s covered in creepy looking fruits that look like someone ripped the eyeballs off of their childhood toys and stuck them on sticks. The entire plant is toxic to humans, but the fruit is most toxic. Children are especially susceptible due to the sweet taste of the fruit tricking them into thinking it’s edible. On top of that, eating the berries can sedate the muscles of the heart, causing an extremely quick death. Angel’s trumpets are native to South America and look absolutely beautiful. The flowers can be pink, yellow, orange, or white. 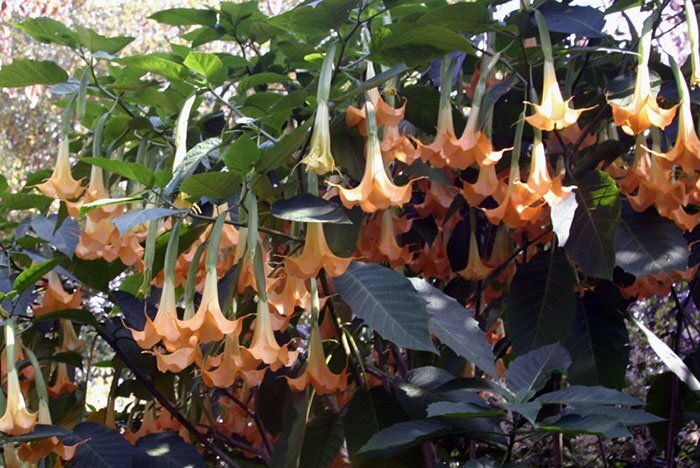 The entire plant is filled with toxins like scopolamine and atropine, however they’re not as poisonous as the two plants we’ve looked at already. In fact, some cultures turn the flowers into a hallucinogenic tea. It’s extremely dangerous to try this though, because it’s difficult to determine the levels of toxins from plant to plant. Most people know this tree as Quaker Button or poison nut. It’s an average-sized tree that’s commonly found in Southeast Asia and India. Inside the tree’s fruit there are highly toxic seeds filled with strychnine and brucine. A dose as small as 30 mg of either toxin will kill a fully-grown adult. And it’s not a painless death like some other toxic plants. If you eat a fatal dose of these seeds, you’ll have violent, uncontrollable convulsions until death. 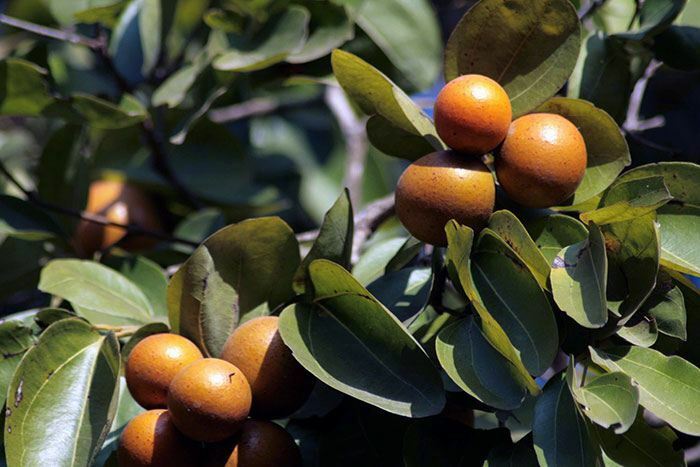 This small to medium tree is native to Southwest Asia, Northern Africa, and Europe – so basically half of the planet. The only part of the tree that isn’t toxic are the berries that surround the seeds. Birds will often eat the the berries and spread the seeds without dying. About 50 g of the seeds will cause difficulty breathing, convulsions, tremors, and collapse. You will die of a heart attack in the end. If you eat too many, you might even skip straight to the heart attack! 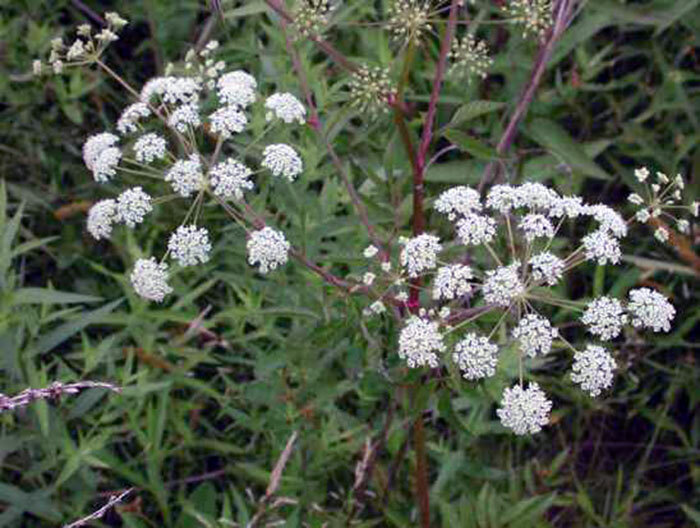 Hemlock has long been known as a poisonous plant, but the water hemlock is a different variety. Also known as the poison parsnip, these plants are native to temperate areas of the northern hemisphere. They’re easy to identify due to their small green and white flowers that look like umbrellas. It holds the title of the most poisonous plant in North America, being filled with cicutoxin. Cicutoxic causes violent seizures, nausea, vomiting, and abdominal pains. As if that wasn’t enough, you’ll die of respiratory failure or ventricular fibrillation just hours after consuming it. Avoid this at all costs, especially the roots (which are the most poisonous). 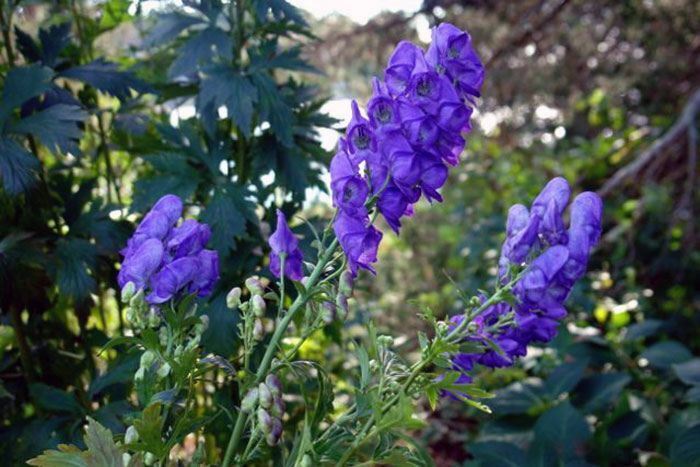 Wolfsbane goes by many names: leopard’s bane, devil’s helmet, or woman’s bane. It actually belongs to the buttercup family, but is far deadlier than the pleasant flower. They’re native to mountain regions in the northern hemisphere. They’re full of alkaloid pseudaconitine, used ​in ancient Japan as a poison for hunting. If you’re unlucky enough to ingest the poison, you’ll feel your limbs and abdomen burn. If you consume too much of the poison (usually around 20ml), you’ll die within 2-6 hours. It seems like most of these poisonous plants go by many names, and the Rosary Pea is no exception. 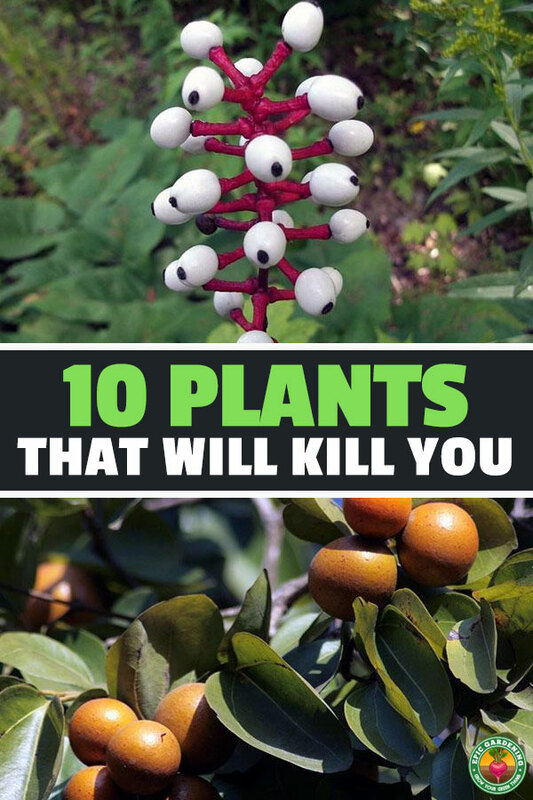 It’s also known as the Jumbie bead or Crab’s eye and is a plant that grows around other trees or shrubs. It’s most commonly found in Indonesia, but has shown up in other parts of the world as well. Whoever named this plant was afraid of it. 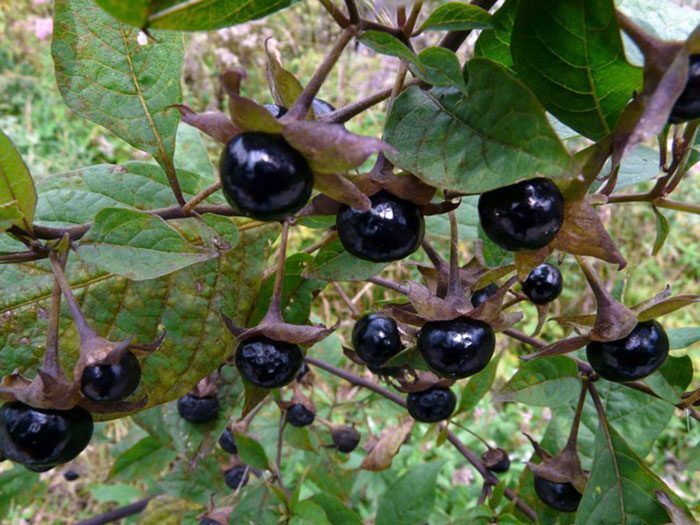 The Belladonna is also known as death cherries, deadly nightshade, and Devil’s berries. It’s found all over the world, but especially in Europe, North Africa, and Western Asia. 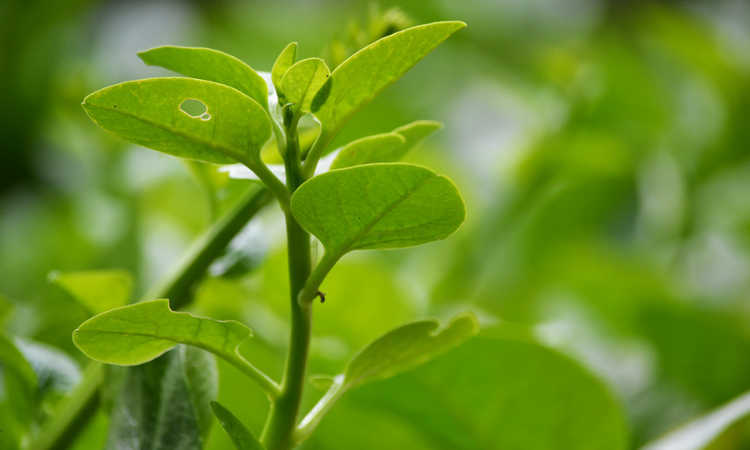 It contains one of the world’s most poisonous toxins – Tropane alkaloids. If you consume it, you’ll lose your voice, your mouth will go dry, you’ll have headaches, and eventually difficulty breathing. 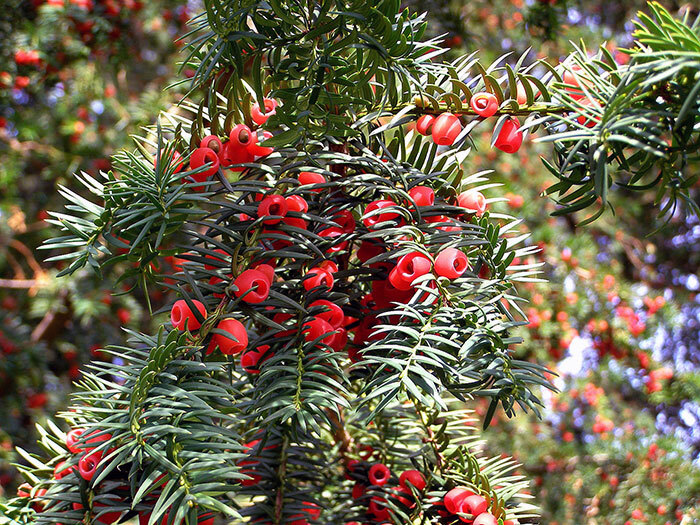 The berries have the lowest concentration of the toxin, but are sweet and attract children. It takes 10-20 berries to kill a man…or a single leaf of the plant’s foliage. 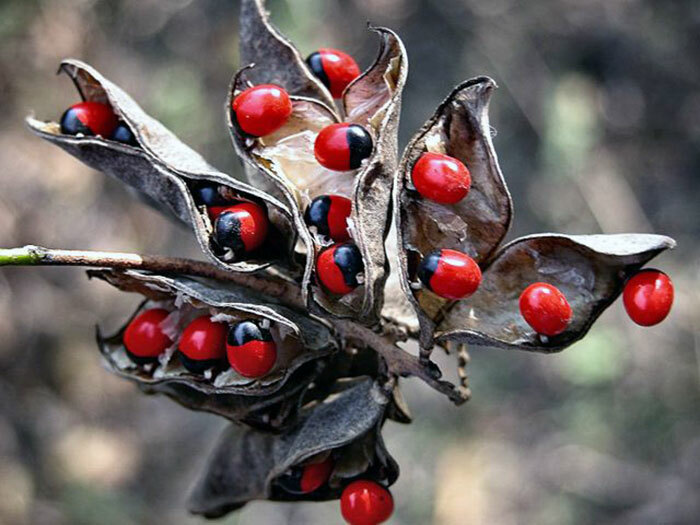 We talked about the toxin ricin when we mentioned the toxin abrin, carried in the Rosary Pea. 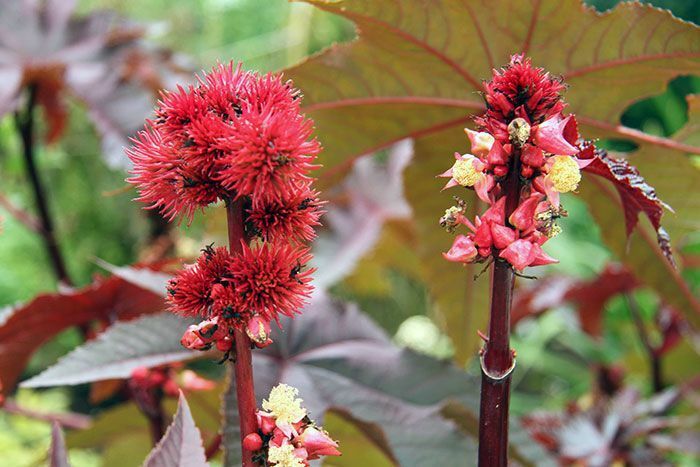 Castor plants contain the less potent toxin ricin. It’s concentrated in the seeds, of which 1 is strong enough to kill you in just 48 hours.